Taranaki Twilight Highlight Ride – tomorrow! 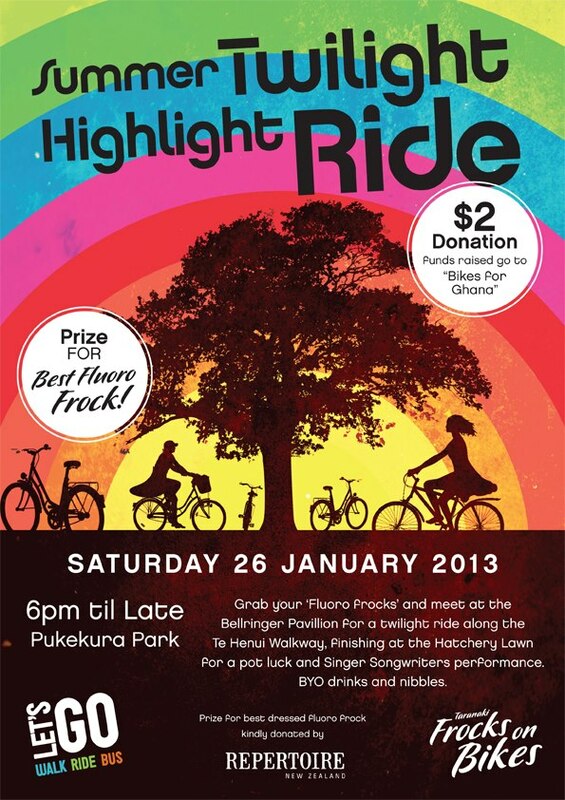 Join the Taranaki flock in your brightest summer frocks, for the Summer Twilight Highlight Ride. This Saturday from 6pm til late. Meet at the Bellringer Pavilion in Pukekura Park. BYO drinks and nibbles for a potluck picnic after the ride. Prize for best frock from Repertoire. $2 donation for Bikes for Ghana. 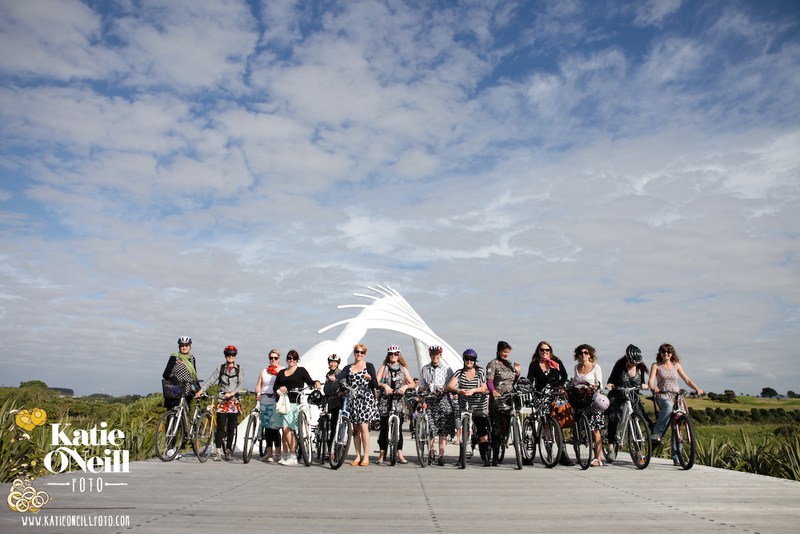 Join the Taranaki Flock for a Spring Floral Ride on the 27th of October. Meet at 2pm in Pukekura Park. Check the facebook page for more details. Frocks on Bikes is on this Saturday!! Want to get out and feel the wind through your hair?! 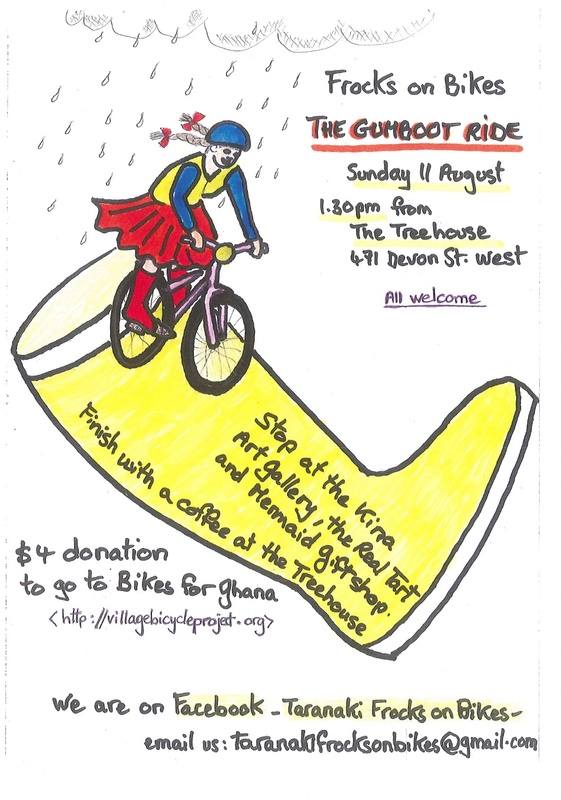 Come along to the gumboot ride. Stop 1: Kina NZ Design Devon St, Stop 2: TART gallery Egmont St, Stop 3: Mermaid Port, Stop 4 & Finish: Treehouse welcomed by a nice warm fire. 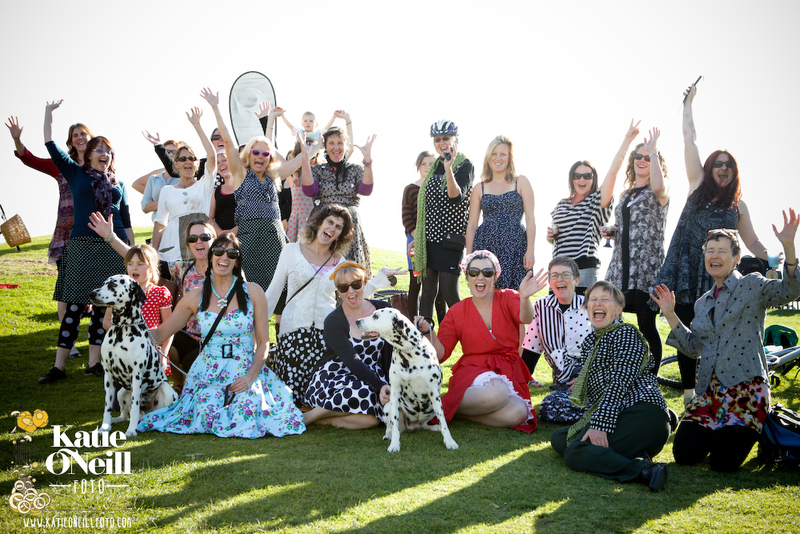 Have a look at our styling photos from our last Polkadot ride. We met at the beautiful Te Rewa Rewa Bridge and went for a ride along the walkway to the windwand finishing with a break at the Wave Cafe. A lovely afternoon was had by all. We even met some polkdotted dogs to join us in our afternoon. Congratulations to our winner for two to our to our sponsor Arthouse Cinema. 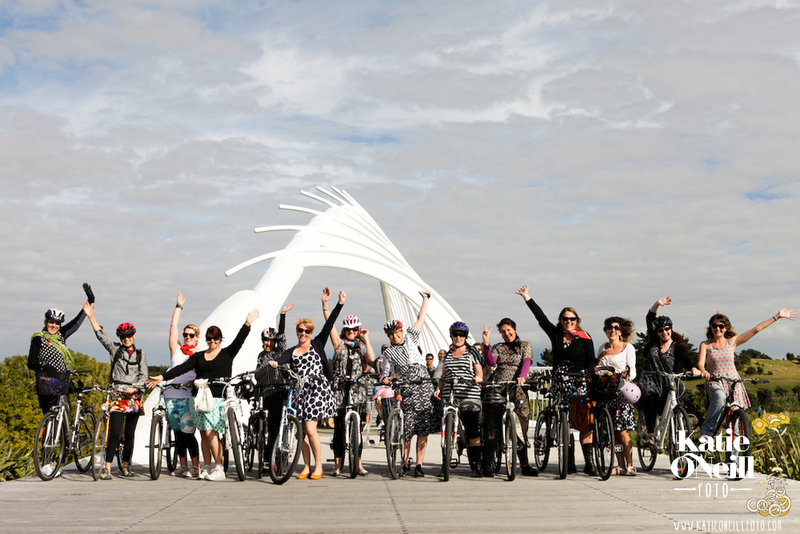 or you can email the frock ladies on taranakifrocksonbikes@gmail.com to join the email list.